What is Mission Support? Mission Support is the portion of a congregation’s regular financial offering that is shared with their synod and with the churchwide organization. These gifts are used where the need is greatest, and also make it possible for the ELCA’s 65 synods and the churchwide organization to maintain ongoing commitments to ministry partners. Mission is carried out in our neighborhoods, across communities, and across the globe. Support is the portion of members’ offerings that makes all synodical and churchwide ministries possible, here at home and abroad. The undesignated Mission Support of congregations is part of a commitment to share God’s love and generosity by blessing others, extending the impact of each congregation around the country and the world. Thank you to our congregations and their members for giving back to God, and to congregational church leadership for participating in God’s work both in their communities and around the world by their financial support of the synod. 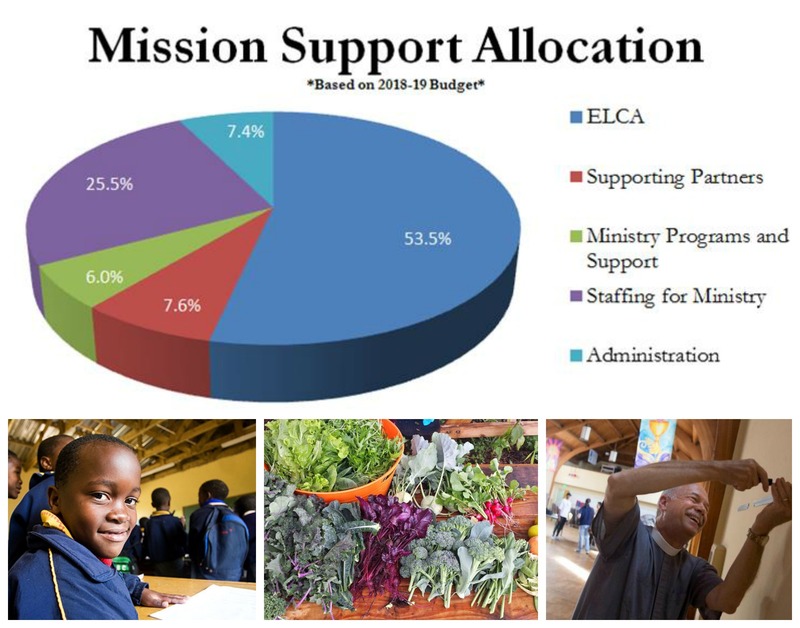 The Southwest California Synod sends half of the mission support it receives to ELCA Churchwide, and distributes a significant percentage of the remainder back to congregations in the form of grants, as well as educational and administrative support. Mission Support dollars are very real, present, and working on every level of church structure: congregations, synodical, and churchwide. On a congregational level, it means that New City Parish of Los Angeles, Inglewood and Compton could fund a free Summer Day Camp for over 60 neighborhood kids, connecting new families with the congregation year-round. It means that Glory Lutheran, a Mandarin-language faith organization lead by Pastor Newman Qiu and hosted by First, Torrance can serve Chinese students in the community. It means support for Iglesia Luterana Santa Cruz, a tri-lingual community in Santa Maria. On a synodical level, it means the existence of staff and infrastructure that support congregations in carrying out God’s Work. It means workshops about church constitutions, administration, finances, and human resources. It means gathering together at the synod assembly, and educational opportunities such as the 2016 – 2017 Reformation Roadtrip. 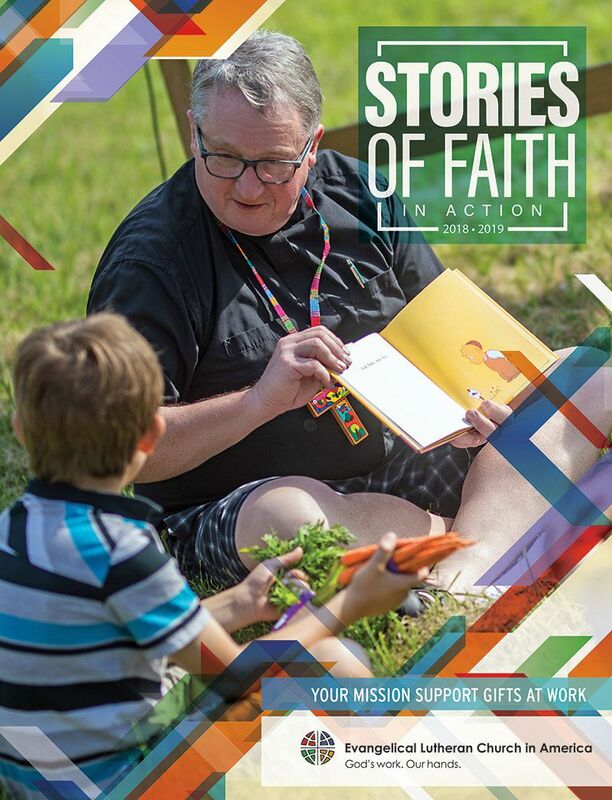 On a churchwide level, it means support for congregations, missionaries, seminaries, colleges and universities, campus ministries, early childhood centers, elementary schools, outdoor ministries, and world hunger projects. It means supporting an outdoor worshiping community in Texas, sharing breakfast and the Word with day laborers in a Home Depot parking lot, and helping Missionary-Communicators in Jerusalem. As members of the ELCA, our faith in a loving God frees us to be generous and to participate boldly in God’s work in the world. Stewardship not only about paying the church’s bills, but about how congregations can “be the church together” – what Bishop Eaton calls a “manifestation of the unity we have through baptism into the body of Christ.” To be generous in response to God’s generosity towards us is one way we live out God’s call to love our neighbor, in ways that no individual, congregation or synod can do alone. Part of our mutual work and accountability is our financial support of the ministries we share. This includes the work you do locally in your community, the work done together as a synod, and the faithfulness you show in funding the ministries and the work of the ELCA throughout the country and in partnership with other Christians all around the world. As your congregation finalizes budgets for 2018, we at the Office of the Bishop are updating our finances for the year. Please let us know your intentions for 2018 synodical mission support. This is the undesignated amount that comes directly to the synod and does not include the other options available to you (i.e. World Hunger, Lutheran World Relief, or LSS). Please fill out your 2018 Congregational Statement of Intent for Mission Support and return it to the Synod office as soon as possible. A hard copy of this form was mailed to all synod congregations; it is also available to download at the link below. Thank you for your support for the work beyond our walls, across the Synod, and across the world. Subscribe in order to receive the latest events, new & articles.